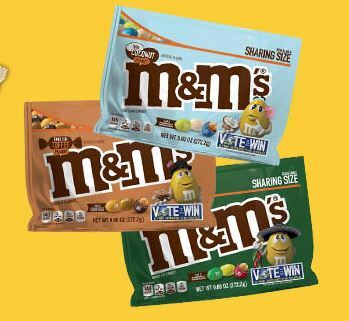 This year M&M’s have introduced three internationally inspired flavors that fans can vote on. The winning flavor will be regularly available and all voters will be entered into a contest to win a trip around the world. The Thai Coconut Peanut flavor was the least favorite flavor of all of the tasters. The coconut flavor blends well with the chocolate, peanut and candy shell, but the added curry is a bit overpowering and was not a flavor that my tasters liked. “It tastes like what tanning lotion smells like,” said one taster. Another said, “I love curry chicken, but I don’t want that flavor in my candy.” My final taster said that they love coconut flavor in chocolate but because there are already established candies with that flavor they didn’t see themselves buying these. We found our packs at a local Target. They can also be purchased in bigger bags online. If you try them out, please let me know what you think! Previous “Where’d You Go Bernadette” and “The Goldfinch”: Coming Soon to a Theater Near You! Next Sign Of The Times: Research on emerging adulthood.